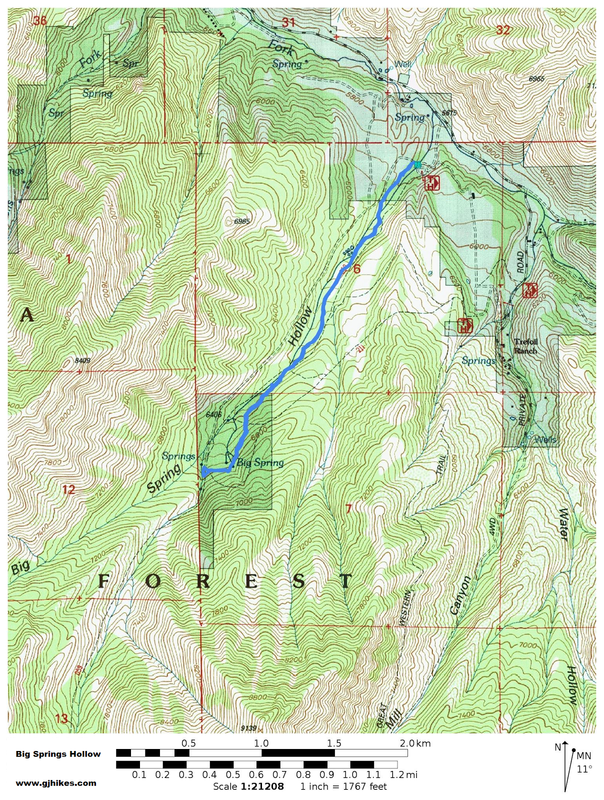 The Big Springs Hollow trail is located in the Uinta National Forest near Provo, Utah. The trail begins at Big Springs Park where it heads west up a side canyon along a small stream. 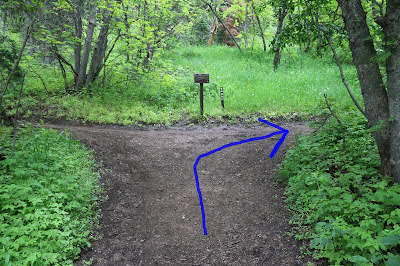 Numerous creek crossings make the trail fun for families with small children. Maples and elderberries are among the thick growth of vegetation along the lower part of the trail giving way to aspen, pine and chokecherries as the trail climbs up the canyon. 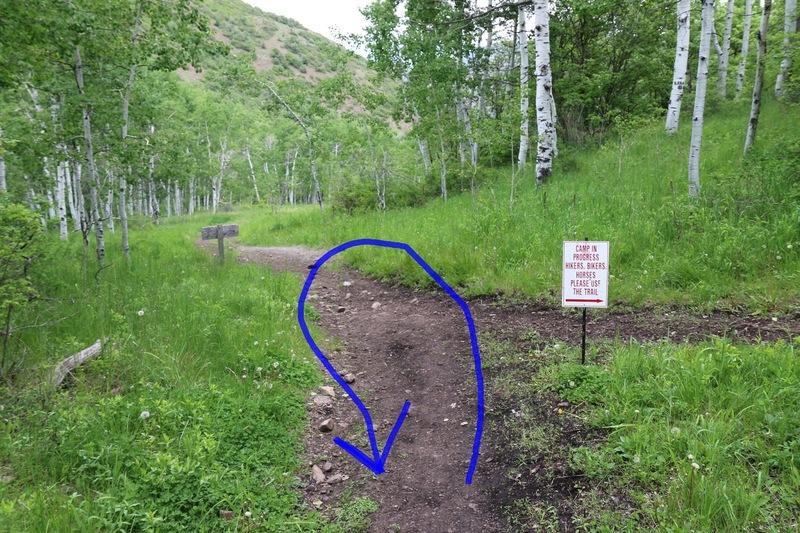 To get to the trailhead from Provo drive east into Provo Canyon and turn right on the South Fork Road. Continue for about 3.3 miles to Big Springs Park. The trailhead is near the far west corner of the park. 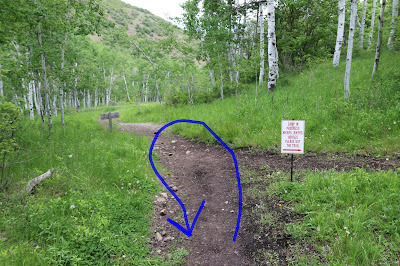 The lower part of the trail is well worn and easy to follow with only a minor amount of elevation change. Sunlight has little trouble finding the trail as it passes through lush treelined meadows. Wooden bridges provide dry passage at the many creek crossings but if staying dry isn't your intention then there are opportunities to do a little wading. The trail comes to a fork just past the 3/4 mile point. We understand that you can begin a loop at this point but for this post we stayed to the left and came back by the same route. The forest gets thicker and the canopy gets higher the further you progress up the canyon. 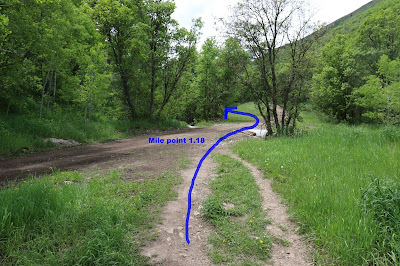 Just past the 1 mile point the trail crosses the road that it has been paralleling. From here the trail begins climbing a little more than it had. Around the 1.5 mile point the Big Springs Hollow trail is met on the left by the Shingle Mill Link trail #211. When the trail reaches Big Springs it gets ferried through the lush undergrowth and over the seep by a boardwalk. 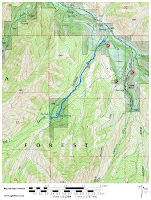 The turnaround point for this post is at the 1.8 mile point where there is a sign for the Cascade Mountain Summit trail. The trail is an easy downhill hike all the way back to Big Springs Park. 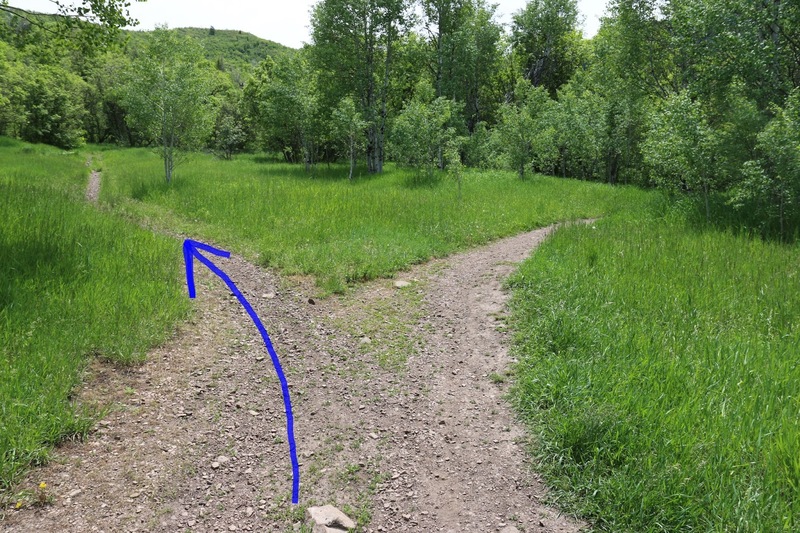 The Big Springs Hollow trail is connected to by enough other trails to open up a lot of options for longer excursions. Besides climbing Cascade Mountain you can drop over the ridge into Rock Canyon and Dry Fork. Families with small children will find that the lower portion of the Big Springs Hollow trail is easier than many of the other trails in the Uinta National Forest. If you would like to see it for yourself then all you have to do is grab your bike or 'Take a hike'.